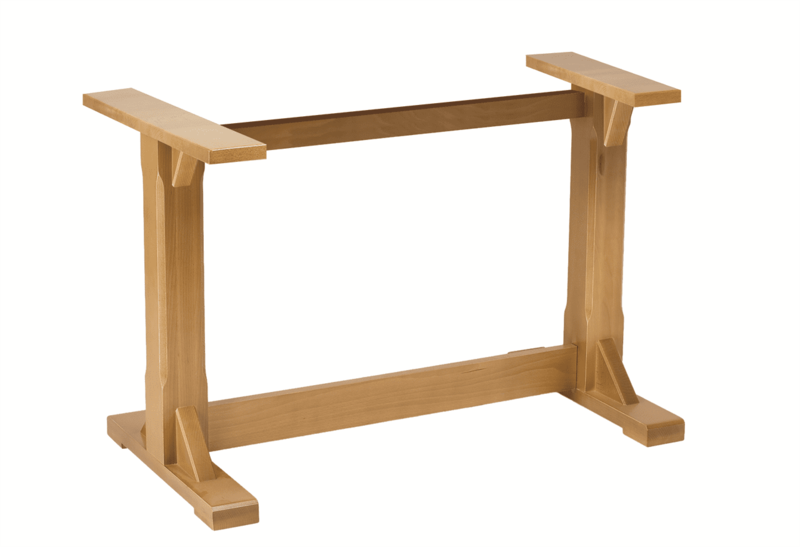 Solid beech (laminated) small chamfered square profile columns, 90 x 90mm, with two solid beech cruciform flat legs, two square beech fixing plates, 295 x 295mm, and two beech connecting bars, 1,000mm long. Self-assembly. Note: the wooden feet are not adjustable. Supplied in raw finish. Supplied dining height. Also available in a single option. Recommended top size: 1,220 x 760mm. 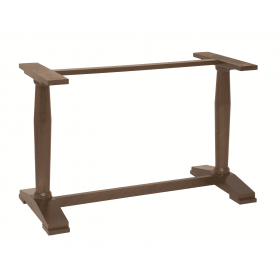 The Washington family is a traditional, simple square, solid beech table bases. A premium quality range which can be used with any of our indoor tops. It is manufactured in Europe to the highest specification. 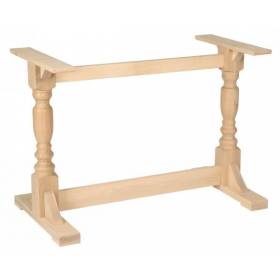 This is the twin 4 leg Ascot base dining height. The two square Washington wooden columns are chamfered and sanded to a high finish to prevent damage to the column edges and diners’ legs. 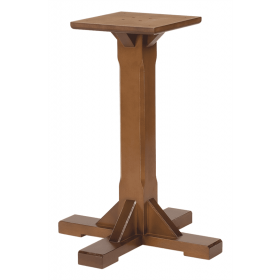 The twin columns sit between two solid wood 2 leg flat profile, buttressed bases and two square buttressed wooden fixing plates. The twin columns are connected with an upper and a lower wooden cross bar. The chamfers have lark’s tongue finishing to create square ends on the top and base of each column. It is supplied raw for you to stain, paint, lacquer or wax to any colour scheme. Contact one of our sales team for more information if you require different heights or sizes. 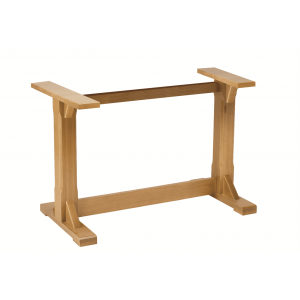 The Beech wood used is harvested responsibly from managed forests in the EU. It complies with all EU timber regulations.